Order an original certificate of completion, it's free certificate, all you have to pay is for shipping. 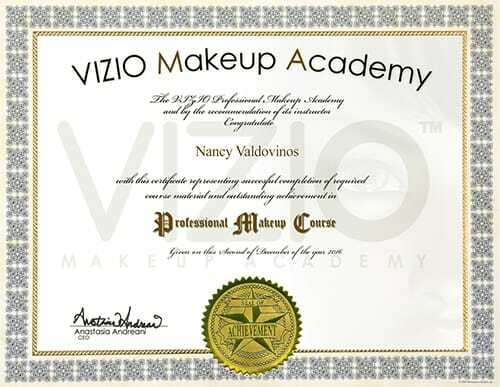 NOTE: This certificate is exclusively and only for graduate students of Vizio Makeup Academy. We will check your status and only we will send it if you graduated. If you did not graduate we will not send you a certificate.